Every patient is unique and our goal is to meet the needs of each patient in supplying the items prescribed by your physician. Although your specific needs may be different, the steps below provide an overview of the process to receiving your custom-made or custom-fit orthotic(s). 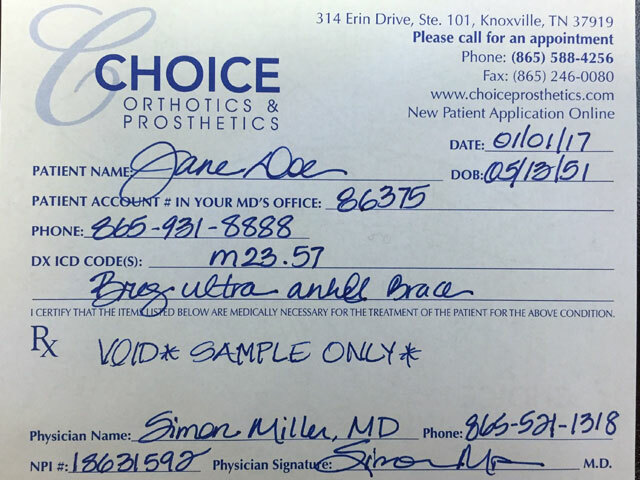 The physician prescribes an orthosis, giving the patient a prescription for the item and noting the patient’s medical necessity in the physician office visit medical record. 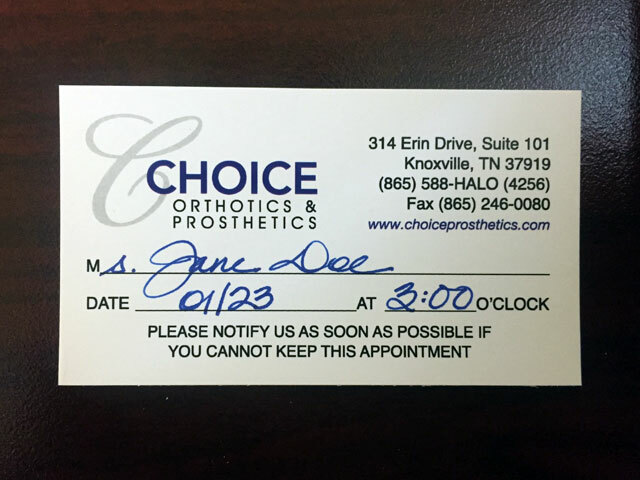 The patient calls 865-588-4256 to schedule the first of two appointments. The patient brings the prescription to Choice O&P, and is seen for fit/measurements/casting and to gather insurance information. Following this, the physician's medical records are obtained and a letter of medical necessity is signed by the physician. Without these records, we are unable to proceed. Choice O&P requests authorization from the insurance company; or if covered by Medicare/Medicaid, all records are reviewed to verify insurance compliance. 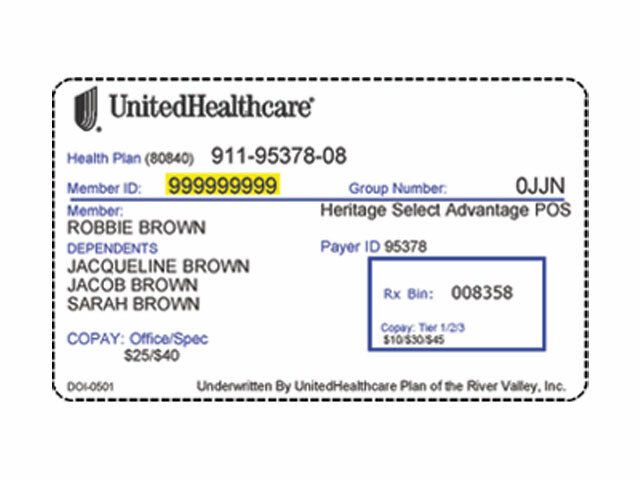 The patient is notified by phone of their estimated portion of the balance due. A deposit will be collected if the item is custom-made,and payment plans are available. Once the orthosis is ordered or custom fabricated, the patient is scheduled for the delivery appointment, At the appointment the patient pays their balance, the orthosis is fitted to the patient, including any adjustments needed and insurance is billed. Follow-up appointments for adjustments will be made by the patient. Items provided may be off-the-shelf, custom-fit or custom-made. This determination is based upon each patient’s functioning as well as the prescription/order made by a healthcare practitioner. We work closely with the physicians, physical therapists and occupational therapists who refer patients to us. A cranial remolding orthosis will redirect head growth to improve portion and symmetry. The orthoses are designed to provide total contact over the prominent or bossed (bulged) areas of the baby’s head to discourage additional growth. The orthosis is shaped with space over the flattened or depressed areas. The orthosis functions by creating a precise pathway to direct the baby’s rapid head growth.